Matthew Slater is a two-time Super Bowl champion with the New England Patriots. The talented footballer, who can also play as a wide receiver, played college football at the University of California, Los Angeles before he was drafted by his current team in the 2008 NFL Draft. Along with his two rings, Slater has made seven Pro Bowl appearances in his over a decade long career. Read on to find out more about his personal life and what deep connections he has with American football. Matthew Slater was born Matthew Wilson Slater to Annie and retired NFL player, Jackie Slater, on the 9th of September, 1985, in Long Beach, California. Thanks to his father’s success in the sport, Slater, from a very young age, aimed to play the game at a professional level. As a high school student at Servite High School in Anaheim, California, Slater was a standout football player and track star. He recorded 23 catches for 333 yards, 2 touchdowns in his junior year, and 39 catches for 707 yards and 5 touchdowns as a senior to earn an All-West selection by Prep Star. In track, Slater set and still holds the school records in the 100 meters and 200 meters events. He was further named the Orange County Register Boys Track and Field Athlete of the Year in his senior year. After graduating, he accepted a scholarship to attend the University of California, Los Angeles where he majored in political science and history as he also played for the school’s football team. Slater redshirted his freshman year and when he returned, he was used as a reserve wide receiver. By his junior year, he had evolved to become a return specialist, registering a total of nine tackles. As a senior college, he made 25 tackles to tie the Pac-10 season record that was set in 1974 and ended the season with a First-team All-Pac 10 selection as the kick returner. 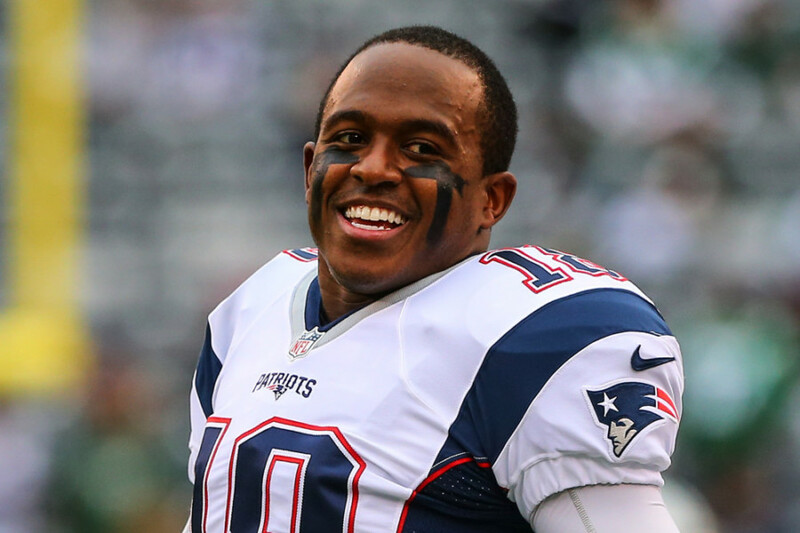 Having completed his four years of college, Matthew Slater’s next destination was the NFL. He was able to achieve his life long dream when he was selected by the New England Patriots with the 153rd overall pick in the fifth round of the 2008 NFL Draft, as the rest became history. From the 2-year $5.2 million contract extension he agreed with the Patriots in March 2018, Matthew Slater receives an annual average salary of $2.6 million. His new wages are a significant increase from what he was earning in his rookie years when he was taking home an annual salary of just above $370 thousand. Not much is known about Matthew Slater’s mother. His father, on the other hand, as mentioned above, is Jackie Slater, a retired American football offensive tackle. The seven-time Pro Bowler, who has the record for the most seasons with one NFL team, had a 20-year-long NFL career with the Los Angeles/St. Louis Rams franchise. In 2001, he was inducted into the Pro Football Hall of Fame and has also had his No. 78 jersey retired by the team. After hanging up his cleats, Jackie Slater moved into broadcasting but later returned to his favorite sport. He took up a coaching job as the co-offensive lineman coach for the Oakland Raiders but has since left that position to serve as the offensive line coach at Azusa Pacific University in Azusa, California. The Slater family will forever be one to remember as Jackie Slater and his son have 13 Pro Bowl appearances between them, making them the second-most nominated father/son duo in NFL history, behind the legendary Manning (Archie and Peyton) family. Matthew Slater is married to an Ivy League-educated doctor named Shahrzad Ehdaivand. It is not clear how and when the couple met each other, but according to reports, they have been in a long term relationship. The couple got married in 2015, a few months before they went ahead to welcome their first child together, a son named Jeremiah on the 25th of November, 2015. Shahrzad Ehdaivand, who graduated from Brown University before acquiring her medical degree from the Geisel School of Medicine at Dartmouth, is a pathologist. In regards to talent, Matthew Slater certainly got some of his father’s genes, which has helped him forge a career in the NFL. However, when it comes to body measurements, the younger Slater, who stands at 6 feet 0 inches (1.83 m) and weighs 205 lb (93 kg), is not comparable to his old man who stands at 6 feet 4 inches (1.93 m) and weighs 277 lb (126 kg).